A startup with roots in Stanford, MIT and UC Berkeley is gamifying climate change. You get to compete with your friends as well as find out ways you can cut your own personal footprint, and even get connected with carbon offsets to round out your status as climate warrior. The benefits of the game extend beyond saving the world, of course. According to CTO Kirstin Cummings, “Many actions that improve climate also save a lot of money…and often also have other health and societal benefits. For example, eating red meat one day less per week improves your personal climate footprint more than eating all local or driving a Prius,” she said, “less red meat also saves cash, reduces your likelihood of getting heart disease and many cancers, and reduces impacts on land, water, and biodiversity.” Our consumption of factory farmed meat, especially red meat, is one of the biggest causes of climate change and global warming. Once you’ve assessed your carbon footprint, Oroeco gives you a chance to help support carbon offset programs, specifically clean cookstoves in rural Africa that help residents there cook without needing to go out and find firewood every day. So first you learn how to minimize your impact, then you get to offset it. Solid! The company is giving away programmable Nest thermostats for a limited time. 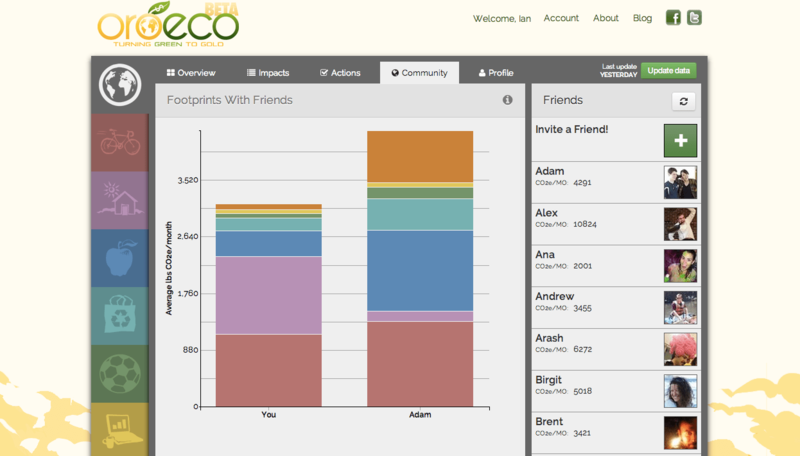 If you create a profile at Oroeco, you get entered to win. Each friend you invite through the “Invite a friend” feature also gets you a ticket to the Nest lottery, as does each Facebook friend who joins, so lots of chances to win. 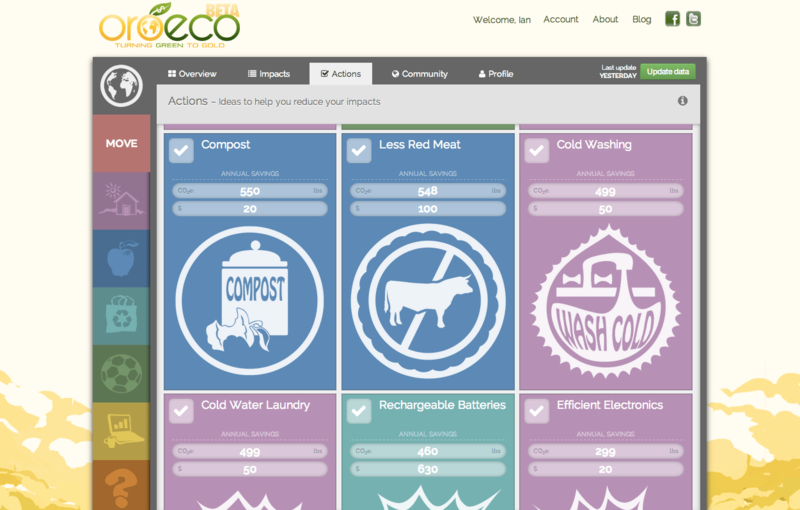 Check out Oroeco today and let’s get to saving the world!